were wiped out in the event. What could have happened to them? Oh where, oh where is the evidence? did it just for the fun of it or they came to do some exotic safari hunting while they were building the pyramids. skin or one of the Martian's fossilized antennas. That would prove your irrational theory in their eyes. Therefore, the paleo-mathemagicians are conditioned to look for evidence to suit preconceived explanations. theory he can think of, and decades looking for evidence to persuade his peers that his theory is 'correct'. falsification criterion. It's the way of arrogant social monkeys. rock or some shocked quartz that came from the boundary. This is what the hooded peer is going to expect. can the money managers do with all that money, anyway? What else can they spend it on? So, why not? chance to even the score with the asteroidists. 1. Volcanoes in Russia erupt for thousands of years. 2. Lava kills animals at a certain radius from Ground Zero. 3. Countless volumes of carbon dioxide (CO2) gases are released into the atmosphere. the release of methane from the tons of methane hydrate frozen deep in the sea beds. 5ºC for a total of an unbearable 10ºC. 7. Meanwhile, the seas stop circulating water. 8. Because the waters are stagnant they lose their oxygen content. 9. Poisonous hydrogen sulfide is produced by bacteria in the oxygen-starved waters. remaining life in the oceans. these disasters now die of starvation. plants survived all the previous disasters cannot photosynthesize and die en masse. etc., now freeze to death. 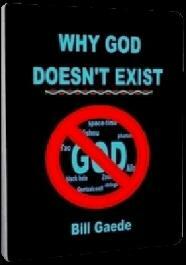 consists of God creating Eden all over again. ends with something always miraculously surviving. Extinctions. Why wasn't methane released by the seas during these catastrophes? again allow an asteroid to form part of another extinction theory again. Investors and grant-givers please take note! 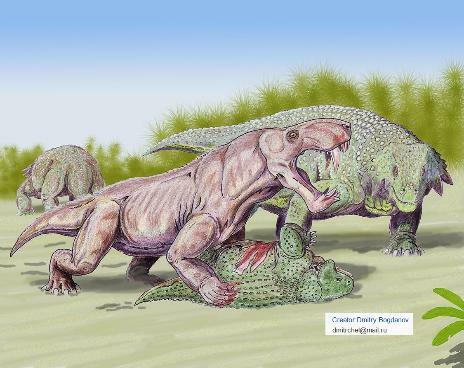 Edaphosaurus to more streamlined, lion-and-rhino-like creatures such as Inostrancevia and Scutosaurus. ammonites in the Mesozoic and by the krill in the Cenozoic. 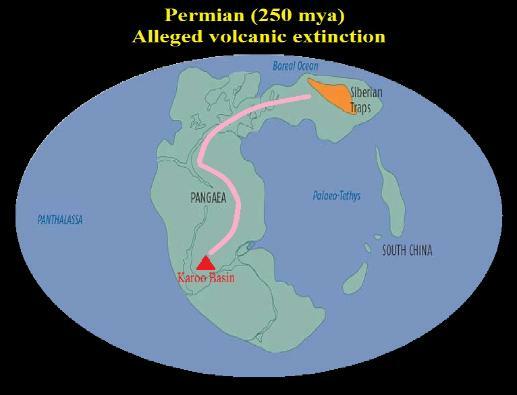 the Permian (≈ 270 mya). exhibit, I will have to agree. modern mammals, including the human race." What caused the Permian extinction in the alternative? Where dos that leave us regarding the Permian Extinction? "He who hasn't explained selectivity with ONE mechanism has not explained extinction." species include: aging, density dependent birth rates, the disappearance of food sources, genetic drift, etc. So what have the paleontologists, geologists, and anthropologists overlooked? as well. “The collapse of the biosphere may be far more rapid than people realize." food plants caused the extinctions..."
there's competition for even the smallest prey... The gorgons are starving to death." "we see the direct effect of warmth on land causing the extinction of a lot of plants." 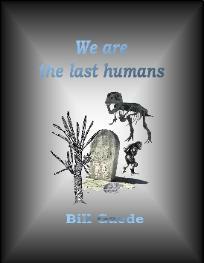 pyramid overturns on the archaic species and the new species continue as if nothing. to do with extinction. The paleontologists are looking in the wrong place. went off on a tangent that has nothing to do with extinction? volcanic eruption. What else could it have been? or Antarctica to figure out extinction. They just needed to sit back, smoke a pipe, drink a beer and THINK! obtaining evidence in order to persuade their peers. is the great failure of Paleo-Mathemagix! which the mammalian line descends.